Growing up, people may have always had some idea of the career path they wanted to pursue. While it may have changed over the years, they eventually knew the industry they desired to work in. However, expectations aren't always met. This can lead to a variety of reasons for employees disliking their jobs. "31% of professionals believe they aren't paid enough." According to recent business research from ProOpinion, approximately 31 percent of professionals believe they aren't paid enough, 21 percent have a poor work-life balance and 20 percent cite an unreasonable workload as the cause of their unhappiness. Others have also experienced issues with incompatible bosses and co-workers, long commutes and lack of job advancement. If you really love what you're doing, you may be willing to overlook a low salary because you'll be working in a position you enjoy surrounded by people who have similar skills and interests. However, if that job starts becoming a place you dread going to and you're frustrated with co-workers and your boss, you may feel disenchanted and that small amount of money is going to create tension. Employees like to know their hard work is appreciated, and that may come in the form of benefits and higher pay. If they aren't receiving those promotions, people might not want to continue working for that company. In a survey from staffing firm Robert Half, approximately 28 percent of chief financial officers and 38 percent of employees reported that low salary and poor benefits are the main reasons top workers quit. These may be even higher depending on how much similar businesses in the industry are paying their staff. Other benefits may help compensate for lower salaries, but they cannot solve the problem. A higher pay reflects employees' hard work and is a sign of their climb up the corporate ladder. However, if they aren't receiving those promotions, they may feel that their path at the company has reached its end, and they will look elsewhere for employment. By offering a clear course for advancement and its accompanied higher salary, businesses may be able to keep their workers happy. While having a job is a part of growing up, it doesn't have to be the sole focus of adulthood. People want positions where they can have both careers and personal lives. When employees don't get that, they are more likely to be dissatisfied with their jobs. 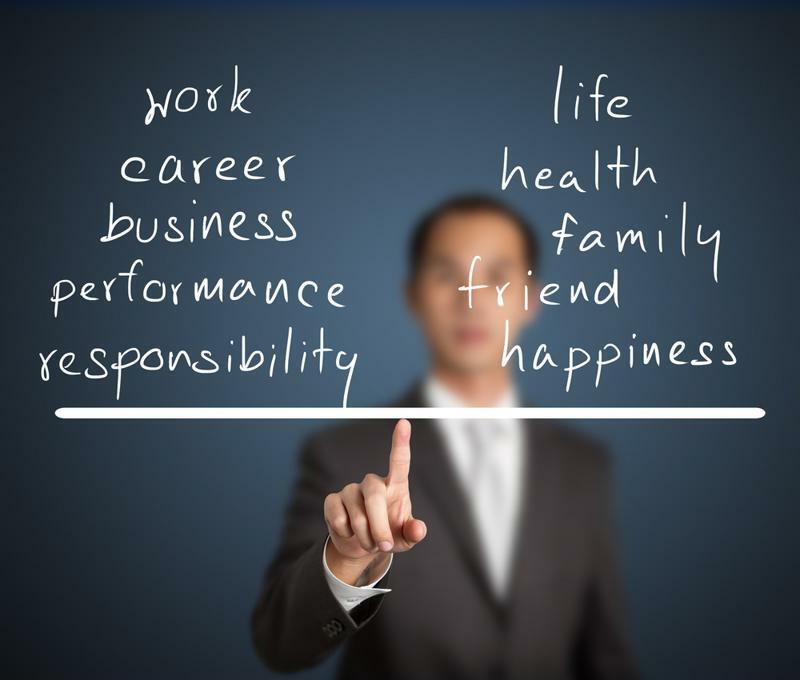 People define this work-life balance differently, and what is important to one person may not be as crucial to another. However, too many demands on one side can have a domino effect of negative results. According to the Mayo Clinic, spending too much time either at your job or continuing to work at home can leave you tired, stressed and sick. It can also lead to more responsibility, which will only exacerbate the other effects. People need satisfaction both at work and in their personal lives. To strike the balance between work and personal life, employers and workers must figure out ways to improve overall satisfaction. Employees want options that will reduce the pressure that is placed on their shoulders, Forbes magazine explained. Telecommuting and flexible work hours allow people to alter their schedules to fit their needs, which gives them to opportunity to achieve the balance they desire. Employees must also learn to adjust their own habits, according to the Mayo Clinic. This can start by leaving the office on time and leaving job-related tasks at work. It's impossible to achieve a work-life balance if you don't make time for yourself to relax and recuperate. It's a great feeling when employees receive more responsibility at work. It shows that they are trustworthy, reliable and worth keeping around. It may also come with a new title and a little extra money. However, when people put in more effort, show their willingness to help out and excel at their jobs, they may find that they've bitten off more than they can chew. Employees might be getting assigned more projects than they have time to finish in the workday. This overabundance of work can cause people to feel stressed, especially if they feel they aren't being paid for the amount of effort they're putting in. It may be just a case of anxiety over the new workload, The Muse contributor Jennifer Winter explained. Maybe they need a bit more training, are uncomfortable with new tasks or are facing new challenges. However, if they've made an effort to alleviate their worries and have talked to co-workers and managers about improving their skills and nothing has changed, it might be that the employer is at fault. "Employers need to delegate work evenly across the board." While it's nice for managers to have employees they can rely on, the same staff members should not receive all the work. They might be willing to help out, but it shouldn't be at the expense of their health, happiness and personal lives. To keep their valued workers within the company, employers need to learn how to delegate the work evenly across the board and not to just a select few. There are many reasons that people are unhappy at their jobs, but they're ultimately all connected. Incompetent bosses and employees can lead to a negative environment and an excessive workload. These extra responsibilities can cause people to feel that they aren't being paid enough for the amount of work they're doing and may interfere with their personal lives. There must be some sort of balance and system in place to ensure people enjoy coming to work instead of just showing up.